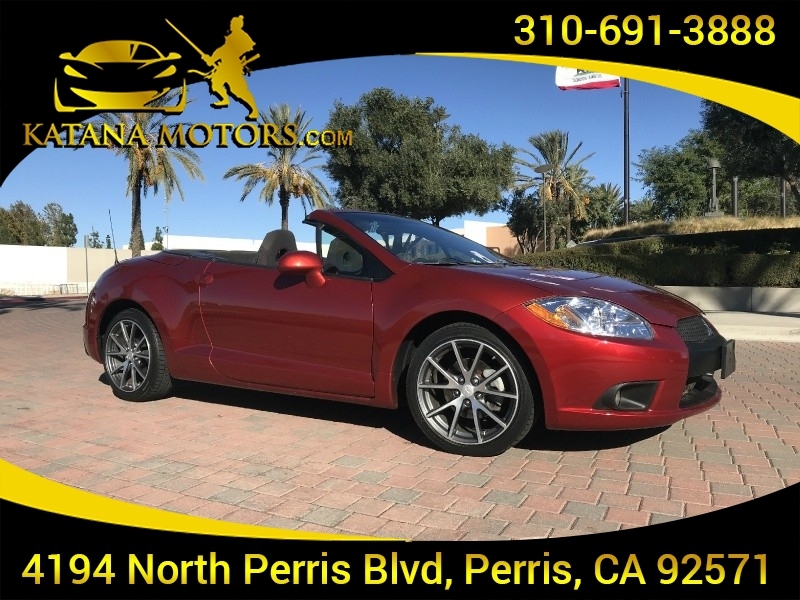 Sorry, we couldn't find any 2012 Mitsubishi Eclipse Spyder GS Sport listings that matched your search criteria. Avg. Dealer Rating: (17 reviews) "Helpful people. Good place. " Avg. Dealer Rating: (3 reviews) "Good people. Have all details about vehicle and worked with me. Bought the car"
Avg. Dealer Rating: (14 reviews) "Very pleasant transaction, Michelle and the entire staff were great to deaj with." Avg. Dealer Rating: (9 reviews) "Good to work with. Got a good deal "
Avg. Dealer Rating: (28 reviews) "Was very helpful and answer all my questions. " Avg. Dealer Rating: (23 reviews) "Horrible experience! Read so many wonderful reviews about Marc. Did not get any of that service. I called on a car on a Monday that had been turned in as a trade-in Saturday night. He emailed me back stating it had not been gone through. And it was going to be $4500 I asked him to please let me know once it had been looked over mechanically and let me know what they found. I asked for pictures. Finally got those after waiting a whole day. Called and he was not in the office. So the manager got on the phone and said he would get back to me about the car. Never heard back from him! Then I had still not heard from Marc by Thursday so I had to call him back.. I called at 9 AM and left him a message. He then EMAILED instead of calling me after 6 PM, to let me know that they “apparently” sent it to auction. Also he told me that it would be $4500, yet Tuesday morning I see it for $4698. Nothing about my experience was pleasant, professional, knowledgeable, or competent. " Avg. Dealer Rating: (3 reviews) "Very good service"